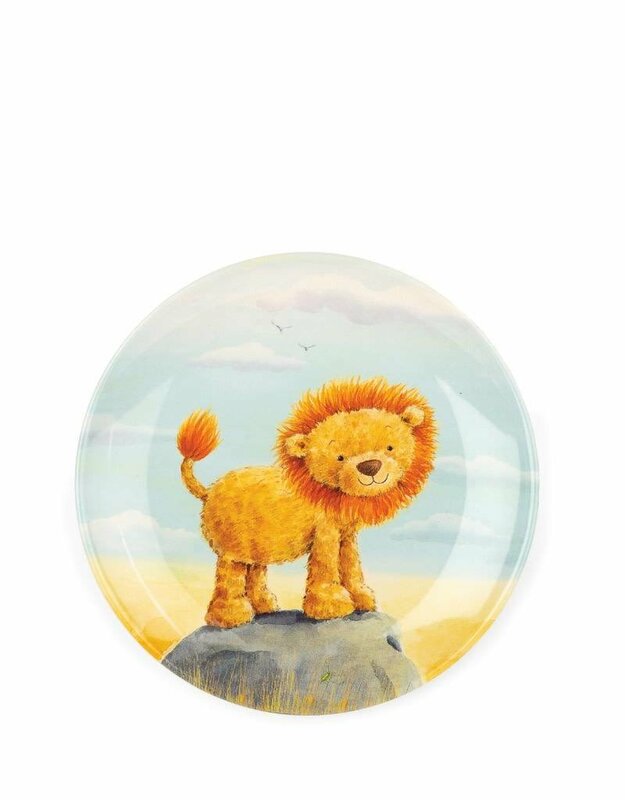 Stand up tall (and then sit down to dinner) with The Very Brave Lion Melamine Plate! 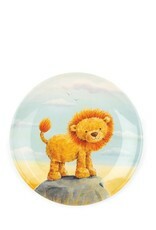 This gorgeous glossy plate shows a sunny Savannah day and a little lion full of love and courage! A bold birthday treat for growing cubs who are just leaping up to the table!